Feminine skirt with volant at bottom, cut from a rich viscose fabric with a leopard dot jacquard. 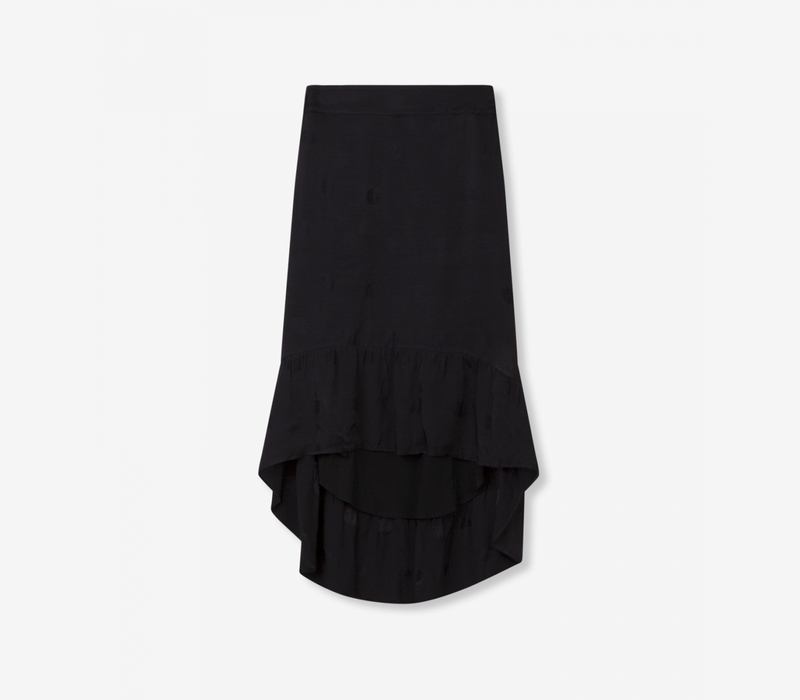 The skirt has an elastic at back waistband for a comfortable fit. Front panel is shorter than back panel for an edgy look. 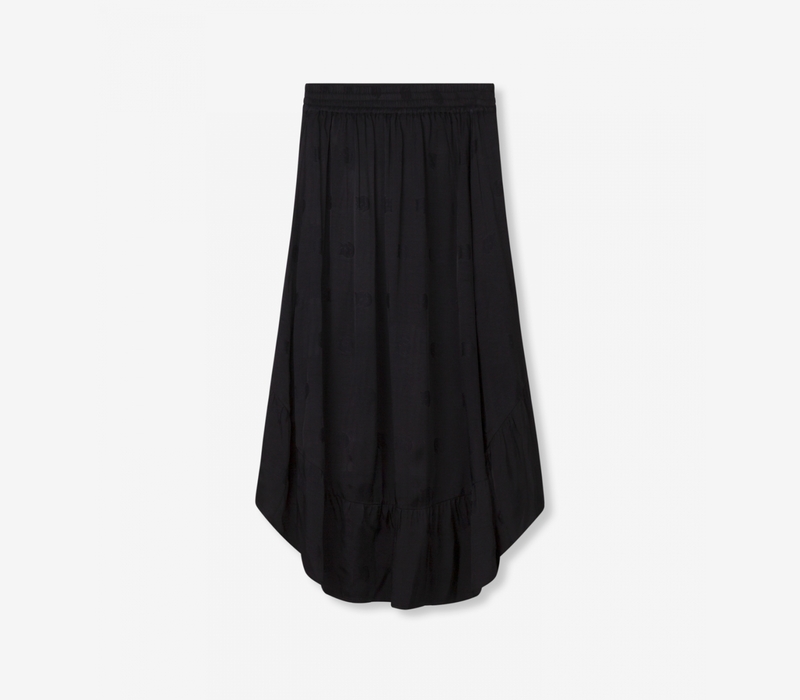 Relaxed fit with elasticated normal waistband in calf length at back an knee length at front.